AMI Environmental continues to provide industrial hygiene services to the manufacturing company annually. AMI has monitored for noise, total and respirable dust and welding fumes at two of the manufacturing plants and one distribution center in Omaha. 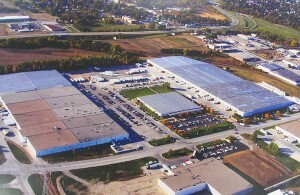 The manufacturing company has over 3 million square feet of manufacturing and distribution capacity. This facility is just one of many distribution centers located throughout the nation. We continue to work closely with the plant’s safety officers in an effort to ensure OSHA compliance and safe working environments.